The inch (abbreviation: in or ″ ) is a unit of length in the (British) imperial and United States customary systems of measurement. It is equal to ​1⁄36 yard or ​1⁄12 of a foot. Derived from the Roman uncia ("twelfth"), the word inch is also sometimes used to translate similar units in other measurement systems, usually understood as deriving from the width of the human thumb. 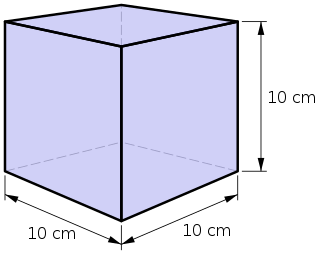 Standards for the exact length of an inch have varied in the past, but since the adoption of the international yard during the 1950s and 1960s it has been based on the metric system and defined as exactly 25.4 mm. The prime symbol, double prime symbol, triple prime symbol, quadruple prime symbol etc., are used to designate units and for other purposes in mathematics, the sciences, linguistics and music. The system of imperial units or the imperial system is the system of units first defined in the British Weights and Measures Act of 1824, which was later refined and reduced. The Imperial units replaced the Winchester Standards, which were in effect from 1588 to 1825. The system came into official use across the British Empire. By the late 20th century, most nations of the former empire had officially adopted the metric system as their main system of measurement, although some imperial units are still used in the United Kingdom, Canada and other countries formerly part of the British Empire. The imperial system developed from what were first known as English units, as did the related system of United States customary units. The English word "inch" (Old English :ynce) was an early borrowing from Latin uncia ("one-twelfth; Roman inch; Roman ounce") not present in other Germanic languages. The vowel change from Latin /u/ to Old English /y/ (which became Modern English /ɪ/) is known as umlaut. The consonant change from the Latin /k/ (spelled c) to English /tʃ/ is palatalisation. Both were features of Old English phonology; see Phonological history of Old English § Palatalization and Germanic umlaut § I-mutation in Old English for more information. The Germanic umlaut is a type of linguistic umlaut in which a back vowel changes to the associated front vowel (fronting) or a front vowel becomes closer to (raising) when the following syllable contains, , or. It took place separately in various Germanic languages starting around AD 450 or 500 and affected all of the early languages except Gothic. An example of the resulting vowel alternation is the English plural foot ~ feet. The ounce is a unit of mass, weight, or volume used in most British derived customary systems of measurement. The common avoirdupois ounce is ​1⁄16 of a common avoirdupois pound; this is the United States customary and British imperial ounce. It is primarily used in the United States to measure packaged foods and food portions, postal items, areal density of fabric and paper, boxing gloves, and so on; but sometimes also elsewhere in the Anglosphere. In many other European languages, the word for "inch" is the same as or derived from the word for "thumb", as a man's thumb is about an inch wide (and this was even sometimes used to define the inch  ). Examples[ citation needed ] include Afrikaans : duim; Catalan : polzada ("inch") and polze ("thumb"); Czech : palec ("thumb"); Danish and Norwegian : tomme ("inch") tommel ("thumb"); Dutch : duim; French : pouce; Hungarian : hüvelyk; Italian : pollice; Portuguese : polegada ("inch") and polegar ("thumb"); Slovak : palec ("thumb"); Spanish : pulgada ("inch") and pulgar ("thumb"); and Swedish : tum ("inch") and tumme ("thumb") and Russian: дюйм ("duim"). The foot is a unit of length in the imperial and US customary systems of measurement. Since 1959, both units have been defined by international agreement as equivalent to 0.3048 meters exactly. In both systems, the foot comprises 12 inches and three feet compose a yard. The United States retains the 1/39.37-metre definition for survey purposes, producing a 2 millionth part difference between standard and US survey inches. This is approximately 1/8 inch per mile. In fact, 12.7 kilometres is exactly 7005500000000000000♠500,000 standard inches and exactly 7005499999000000000♠499,999 survey inches. This difference is significant when doing calculations in State Plane Coordinate Systems with coordinate values in the hundreds of thousands or millions of feet. ↑ Used in machining and papermaking. ↑ Formerly used in American English but now often avoided to prevent confusion with millimeters. ↑ Used in button manufacturing. ↑ Used in American and British shoe sizes. ↑ Used in measuring the height of horses. United States customary units are a system of measurements commonly used in the United States. The United States customary system developed from English units which were in use in the British Empire before the U.S. became an independent country. However, the United Kingdom's system of measures was overhauled in 1824 to create the imperial system, changing the definitions of some units. Therefore, while many U.S. units are essentially similar to their Imperial counterparts, there are significant differences between the systems. The yard is an English unit of length, in both the British imperial and US customary systems of measurement, that comprises 3 feet or 36 inches. The quart is an English unit of volume equal to a quarter gallon. It is divided into two pints or four cups. Historically, the exact size of the quart has varied with the different values of gallons over time and in reference to different commodities. Presently, three kinds of quarts remain in use: the liquid quart and dry quart of the US customary system and the imperial quart of the British imperial system. All are roughly equal to one metric litre. A system of measurement is a collection of units of measurement and rules relating them to each other. Systems of measurement have historically been important, regulated and defined for the purposes of science and commerce. Systems of measurement in use include the International System of Units (SI), the modern form of the metric system, the imperial system, and United States customary units. English units are the units of measurement that were used in England up to 1826, which evolved as a combination of the Anglo-Saxon and Roman systems of units. Various standards have applied to English units at different times, in different places, and for different applications. Traditional Japanese units of measurement or the shakkanhō is the traditional system of measurement used by the people of the Japanese archipelago. It is largely based on the Chinese system, which spread to Japan and the rest of the Sinosphere in antiquity. It has remained mostly unaltered since the adoption of the measures of the Tang Dynasty in AD 701. Following the Meiji Restoration, Imperial Japan adopted the metric system and defined the traditional units in metric terms on the basis of a prototype metre and kilogram. The present values of most Korean and Taiwanese units of measurement derive from these values as well, owing to their occupations by the Japanese. The international yard and pound are two units of measurement that were the subject of an agreement among representatives of six nations signed on 1 July 1959, namely the United States, United Kingdom, Canada, Australia, New Zealand and the Union of South Africa. The agreement defined the yard as exactly 0.9144 meters and the pound as exactly 0.45359237 kilograms. ↑ "inch, n.¹", Oxford English Dictionary, Oxford: Oxford University Press . ↑ "ounce, n.¹", Oxford English Dictionary, Oxford: Oxford University Press . ↑ "Inch | unit of measurement". Encyclopedia Britannica. Retrieved 2019-03-28. ↑ "Weights and Measures Act" (PDF). Canada. 1985. p. 37. Retrieved 11 January 2018– via Justice Laws Website. ↑ "Weights and Measures Act". Canada. 1 August 2014. p. 2. Retrieved 18 December 2014– via Justice Laws Website. Canadian units (5) The Canadian units of measurement are as set out and defined in Schedule II, and the symbols and abbreviations therefore are as added pursuant to subparagraph 6(1)(b)(ii). 1 2 "Guidance Note on the use of Metric Units of Measurement by the Public Sector" (PDF). UK: Department for Business Innovation and Skills. 2007. Archived from the original (PDF) on 12 December 2012. Retrieved 12 December 2014. ↑ "Climate Data Online – definition of rainfall statistics". Australia: Bureau of Meteorology . Retrieved 10 June 2012. ↑ "Of Human Understanding", The Works of John Locke Esq., Vol. I, London: John Churchill, 1714, p. 293 . ↑ Goetz, Hans-Werner; Jarnut, Jörg; Pohl, Walter (2003). Regna and Gentes: The Relationship Between Late Antique and Early Medieval Peoples and Kingdoms in the Transformation of the Roman World. BRILL. p. 33. ISBN 978-90-04-12524-7 . Retrieved 14 May 2012. ↑ Wilkins, David (1871). Councils and Ecclesiastical Documents Relating to Great Britain and Ireland: English church during the Anglo-Saxon period: A.D. 595-1066. Oxford, UK: Clarendon Press. p. 48. Retrieved 18 December 2014. ↑ Duncan, Otis Dudley (1984). Notes on social measurement: historical and critical. US: Russell Sage Foundation. p. 87. ISBN 978-0-87154-219-9 . Retrieved 27 November 2011. 1 2 Klein, H. Arthur (1974). The world of measurements: masterpieces, mysteries and muddles of metrology. New York, US: Simon and Schuster. ↑ Hawkes, Jane; Mills, Susan (1999). Northumbria's Golden Age. UK: Sutton. p. 310. ISBN 978-0-7509-1685-1. ↑ Williams, John (1867). "The civil arts — mensuration". The Traditionary Annals of the Cymry. Tenby, UK: R. Mason. pp. 243–245. ↑ Swinton, John (1789). A proposal for uniformity of weights and measures in Scotland. printed for Peter Hill. p. 134. Retrieved 27 February 2012. ↑ Gemmill, Elizabeth; Mayhew, Nicholas (22 June 2006). Changing Values in Medieval Scotland: A Study of Prices, Money, and Weights and Measures. UK: Cambridge University Press. p. 113. ISBN 978-0-521-02709-0 . Retrieved 27 February 2012. 1 2 Butler, Charles (1814). An Easy Introduction to the Mathematics. Oxford, UK: Bartlett and Newman. p. 61. ↑ Bouvier, John (1843). "Barleycorn". A Law Dictionary: With References to the Civil and Other Systems of Foreign Law. Philadelphia, US: T. & J. W. Johnson. p. 188. ↑ Long, George (1842). "Weights & Measures, Standard". The Penny Cyclopædia of the Society for the Diffusion of Useful Knowledge. London, UK: Charles Knight & Co. p. 436. ↑ Judson, Lewis V (October 1963). Weights and Measures Standards of the United States - a brief history - NBS publication 447. United States Department of Commerce. p. 10–11. ↑ T. C. Mendenhall, Superintendent of Standard Weights and Measures (5 April 1893). "Appendix 6 to the Report for 1893 of the Coast and Geodetic Survey" (PDF). Archived from the original (PDF) on 30 September 2012. ↑ Wandmacher, Cornelius; Johnson, Arnold Ivan (1995). Metric Units in Engineering--going SI: How to Use the International Systems of Measurement Units (SI) to Solve Standard Engineering Problems. ASCE Publications. p. 265. ISBN 978-0-7844-0070-8 . Retrieved 2 August 2012. 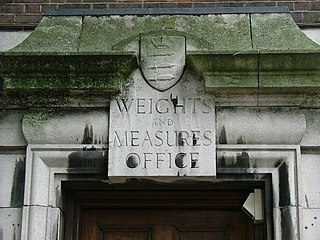 ↑ Weights and Measures Act of 1963. ↑ "Thoburn v Sunderland City Council  EWHC 195 (Admin)". England and Wales High Court. 18 February 2002 – via British and Irish Legal Information Institute. ↑ "Dictionary of the Scots Language". Edinburgh: Scottish Language Dictionaries. Retrieved 21 May 2011. ↑ Gibson, A. J. S.; Smout, T. C. (19 July 2007). Prices, Food and Wages in Scotland, 1550-1780. Cambridge University Press. p. 371. ISBN 978-0-521-03780-8 . Retrieved 11 March 2012. ↑ "give someone an inch (and they'll take a mile / yard )". Macmillan Dictionary. Retrieved 28 March 2017.